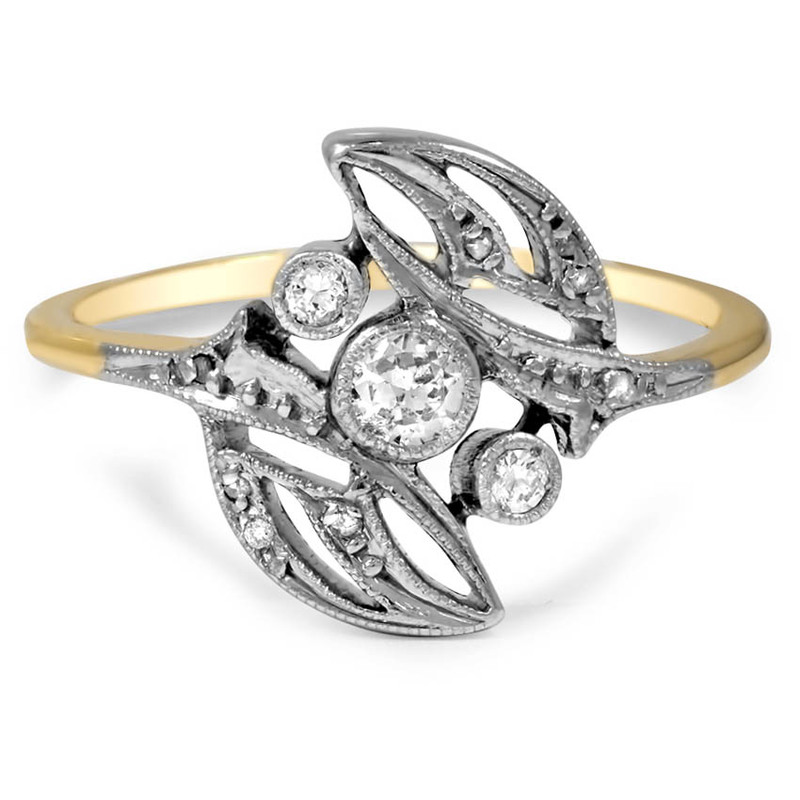 An old European cut diamond with two diamond accents is the centerpiece of this alluring 18K yellow gold Art Nouveau piece. Six rose cut diamonds adorn meticulously crafted platinum leaves with pierced detailing for a nature-inspired look (approx. 0.20 total carat weight). This item has been sold. We can custom design something inspired by this piece or find you something similar. Order now for delivery by Friday, April 26. The Art Nouveau (literally “New Art”) era burst forth from a broad artistic movement with the key tenet that art should be a part of daily life, and lasted from 1890 to 1910. Thinking of themselves as artists, Art Nouveau jewelers took extra care to craft exquisite, breathtaking jewelry with a soft, mystical, and romantic air. Pale colors and flowing, undulating curves established a soothing aura. The ring size of an eternity ring determines its total carat weight. The total carat weight range reflects the difference in total carat weight between a size three and a size nine. Learn more about carat weight information. The listed carat weight for halo styles is based on a 6.5mm round center gemstone and may vary based on the size and shape of center gem. Learn more about carat weight information. The ring size of an eternity ring determines its total number of gemstones. The total number of gemstones range reflects the difference in total number of gemstones between a size three and a size nine. All of our prices are in US$. A carat is the unit used to measure a diamond's weight. One carat equals 200 milligrams or 0.2 grams. Although carat weight and the size of a diamond are related, the carat does not directly measure diamond size. Describes the alignment of the facets of the diamond. If facets are misaligned, the diamond may poorly reflect light. Symmetry is graded from Ideal / Excellent, Very Good, Good, Fair, or Poor. Symmetry grades of Good or higher have the least effect on the brilliance of the diamond and are suitable for the finest quality jewelry. Certain gem labs, such as Gemscan, incorporate Symmetry into an overall Cut grade. The height of a gemstone, from the culet to the table. 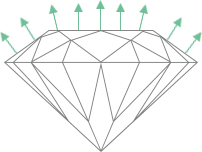 Depth % is the height of the diamond as a percentage of the girdle diameter. Diamonds are given three measurements to specify their dimensions. For fancy shaped diamonds, the measurement specifies length x width x depth. The length is the larger dimension as you view the diamond from the top and the width is the smaller. The depth is the height of a gemstone, from the culet to the table. The measurements determine the length to width ratio and can indicate the quality of cut of the diamond. 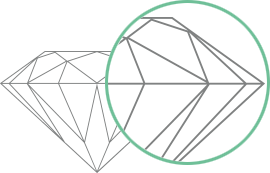 For round diamonds, the measurement specifies diameter 1 x diameter 2 x depth. Round diamonds are never quite perfectly round given they are cut by humans. They are given two measurements for diameter to indicate the maximum and minimum diameter. These two diameters vary slightly, but should not vary by very much. Describes the finish of the facets of the diamond. Polish is graded from Ideal, Excellent, Very Good, Good, Fair, or Poor. Polish grades of Good or higher have the least effect on the brilliance of the diamond and are suitable for the finest quality jewelry. Certain gem labs, such as Gemscan, incorporate Polish into an overall cut grade. The largest facet of a gemstone, located at the top. Table % is the table width as a percentage of the girdle diameter. The narrow rim around the widest part of a diamond, separating the crown from the pavillion. The tiny facet at the bottom tip of a gemstone. The optimal culet should be pointed or very small (graded "small" or "none"). Describes the diamond's response to ultraviolet light. In diamonds with strong or very strong fluorescence, there may be some interference with the flow of light which causes a milky or oily appearance. Canadian diamonds almost always have none to slight fluorescence. Color is the natural color visible in a diamond and does not change over time. Colorless diamonds allow more light to pass through than a colored diamond, releasing more sparkle and fire. Near-colorless. Slightly detected color—a good value. A diamond’s clarity refers to the presence of impurities on and within the stone. When a rough stone is extracted from carbon deep beneath the earth, tiny traces of natural elements are almost always trapped inside. These elements are called flaws or inclusions because they are formed naturally and are unique to each stone. Flawless with no internal or external flaws. Extremely rare and valuable. The cut refers to the angles and proportions of a diamond. The cut of a diamond—its depth and width, and the uniformity of the facets—determines its beauty. The skill with which a diamond is cut determines how well it reflects and refracts light. Exquisite quality cut to create the optimal combiation of brilliance and fire. Reflccts nearly all light that enters the diamond. Top 3% of diamond quality based on cut. A diamond certificate or grading report provides an expert opinion on the quality of the diamond and is provided by an independent gemology lab. Trained gemologists with specialized equipment measure the weight and dimensions of the diamond and assess quality characteristics such as cut, color, and clarity. Brilliant Earth diamonds are certified by the world’s leading gem grading labs including GIA, IGI, and GCAL. Diamonds graded by CDL (Canadian Diamond Laboratory) are evaluated by specialized equipment on premise. If the diamond lab certificate is not available online, please contact us to request an electronic copy. We go above and beyond the current industry standards to offer Beyond Conflict Free Diamonds™ with a listed country of origin of Canada, Botswana Sort, or Russia. Our select group of diamond suppliers demonstrate a robust chain of custody protocol for their diamonds and have the ability to track and segregate diamonds by country of origin. These suppliers are required to source diamonds that originate from specific mine operations or specific countries that have demonstrated their commitment to follow internationally recognized labor, trade, and environmental standards. 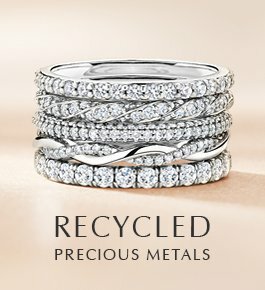 We also offer recycled diamonds, which are a naturally eco-friendly choice. 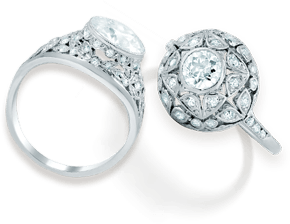 Browse our diamonds according to general preferences and staff recommendations. Yosemite Collection: Beautiful diamonds offering an optimal balance between size and quality. 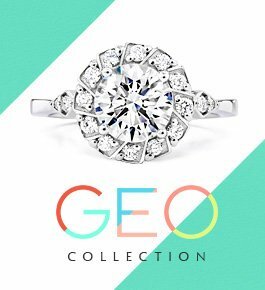 Recommended Collection: Hand-selected by our staff gemologists to offer diamonds of unique beauty that maximize value for any budget. Diamonds are in stock and available immediately. Hand-selected by our staff gemologists to offer diamonds of unique beauty that maximize value for any budget. Diamonds are in stock and available immediately. Diamonds of exceptional quality and superior beauty. Length-to-Width Ratio –The length-to-width ratio compares the length of a diamond to its width to show how elongated a fancy-shaped diamond appears when viewed from the top. Length-to-width ratio is a matter of personal preference with some individuals preferring a more elongated shape and others a more equal or square shape. The most popular length-to-width ratios for fancy shapes are below. Ex. A princess-cut diamond that measures 5.05 mm long by 5.00mm has a length-to-width ratio of 1.01 (5.05/5.00), and will appear perfectly square. All Brilliant Earth diamonds come with a certificate guaranteeing the conflict free origin of the diamond. Our diamonds are tracked throughout their chain of custody to ensure that they are mined, cut, and polished in areas not tainted by war. This ensures that the diamonds are certified for their pure origin and are not corrupted by illicit or conflict diamonds. All of our diamonds are also verified to be produced with environmentally responsible methods using ethical labor practices. While other retailers may claim that they do not carry conflict diamonds, very few have auditing processes to guarantee the ethical source of their diamonds. 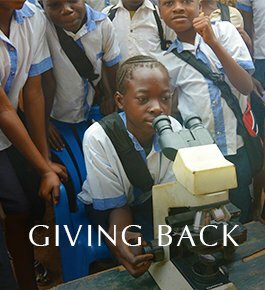 Brilliant Earth provides a diamond origin certification and can track our diamonds back to their source. 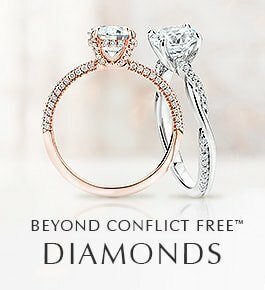 Learn more about Conflict Diamond Issues. You may use a bank wire to pay for Brilliant Earth purchases of $500 or more. For US, Canadian, and Australian bank wires only, Brilliant Earth provides a 1.5% discount to your order. For Canadian, Australian, and other international bank wires, a $35 processing fee will apply to your order. Some financial institutions may also charge a fee for using a bank wire. After you submit your order, Brilliant Earth will give you the account information you will need to provide to your bank to transfer funds from your account directly to a Brilliant Earth account. It may take a few days for your bank to process the bank wire. Once your bank has transferred the funds, Brilliant Earth is immediately notified and your purchase is processed. If you have any questions about the process involved in a bank wire, contact your bank or call Brilliant Earth at 800.691.0952. Please note an ACH transfer is not the same as a wire transfer. At this time, Brilliant Earth does not accept ACH transfers. The length of the chain will determine where the necklace will fall, whether choker length, at or below the collarbone, or at the neckline. We measure the length from the beginning of one end, to the end of the other, including the clasp (which may add an additional .75 inches). Different lengths are worn for different occasions and different outfits. 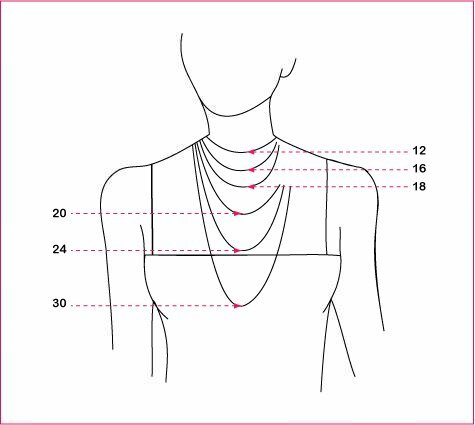 The most common length is the 18" length, which typically falls at the collarbone. 16": Choker length. Accentuates her neckline. 18": At collarbone. Classic length. 20": A few inches below collarbone. 22": At or above neckline. For more dramatic, stylish look. The dimensions of the gemstone are the length and width of a gemstone as it appears from the top view. Dimensions represent the size of the gemstone more accurately than carat weight. For colored gemstones, dimensions are the best way of accurately measuring size. These dimensions are accurate plus or minus 0.2mm. Color is used to describe the color present within a gemstone. Color is described in terms of tone and hue. 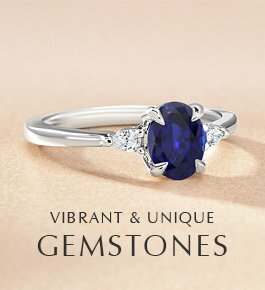 Brilliant Earth carefully selects gemstones with even color distributed throughout the gemstone. Clarity is used to describe the presence of impurities on and within the gemstone. If the clarity of gemstones is specified as "eye clean", no visible impurities or flaws will be seen with the unaided eye. If the gemstone is "moderately included," there may be moderate flaws that are visible upon examination. All Brilliant Earth gemstones come with a certificate guaranteeing the fair trade origin of the gemstone. At Brilliant Earth we ensure that every gemstone we offer has been handled according to strict labor, trade, and environmental protocols. We track our gemstones from the moment they are mined to their final delivery to our valued customers, in order to provide genuine, high-quality fair trade gems. By holding our suppliers to a high ethical standard we hope to better the lives of those negatively affected by the mining and trade of gemstones, and to create a viable framework for industry accountability that will benefit the global community. Many aquamarines are heated in a controlled environment to ensure their blue color is as vibrant and pure as possible. This heat treatment is an accepted industry standard which mimics natural processes to maximize the beauty of the stone. For US orders, Brilliant Earth currently only collects sales tax on orders shipped to addresses in California State. For orders shipped to Canada, the UK, or Australia, Brilliant Earth collects the relevant GST/PST/HST/VAT based on the country/province that the order is being shipped to. There are no additional duties for orders shipped to Canada, or Australia. For orders shipped to the UK, Brilliant Earth collects the relevant duties for each order. Taxes and duties on orders will be calculated based on the rates in effect the date your order ships. Brilliant Earth is the first jeweler to offer blockchain enabled diamonds at scale. In partnership with Everledger, an industry-leading Blockchain technology enterprise, we’re defining next-generation standards in the jewelry industry and continuing our leadership in promoting transparency and responsibility. The cutting-edge blockchain-based technology has been integrated with our supply chain to seamlessly and securely track gemstone origin and provide greater consumer assurance for responsible practices. 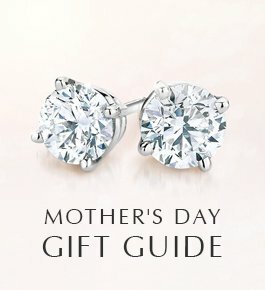 Choose Setting Select an engagement ring setting to pair with your diamond. 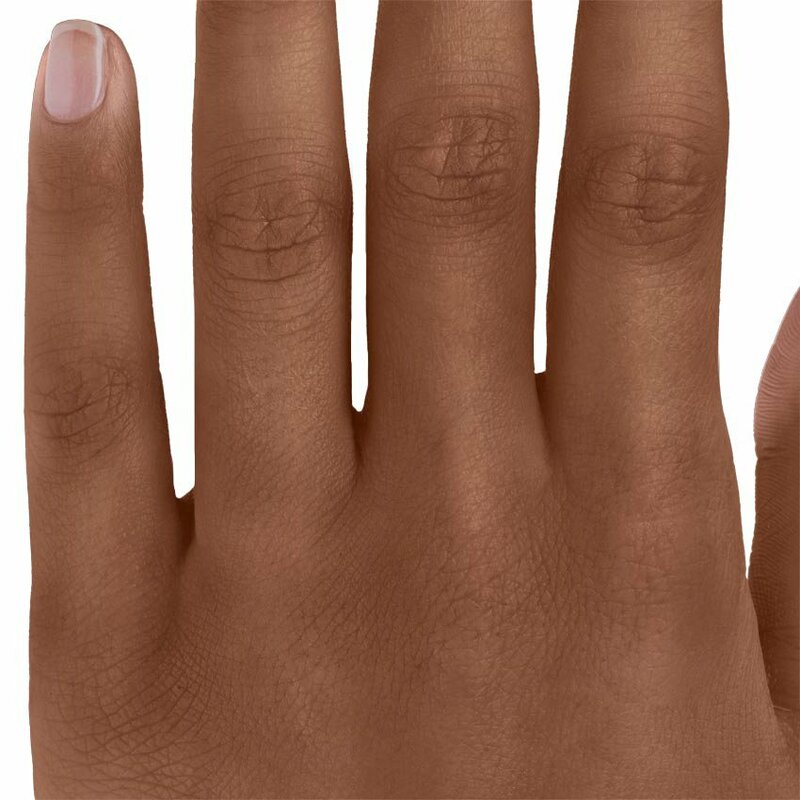 Complete Your Ring Add your ring to the shopping cart or save it to the wish list. Send me Brilliant Earth email updates.